Known as the finance and business hub of India, Gurgaon boasts of its modernised architecture and infrastructure. Despite being the leading business groups, there are some entertaining and fun activities to do in Gurgaon that attract visitors from all the geographical corners of the world. There ” a number of sports centers, parks and adventurous places to explore to have an exciting day. 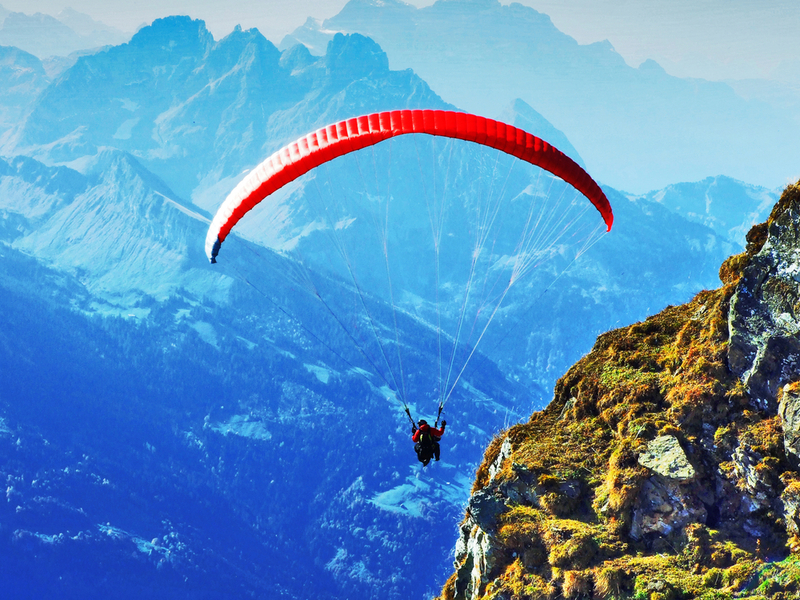 Get charmed by the enthralling tour of flying above in the sky in a motored paraglide at Power Paragliding situated in Sohna, Gurgaon. This power paraglide operates through a motor that is attached to it, a propeller and a harness. With trained pilots alongside, all the safety precautions are taken under extreme care. One can fulfil the dreams of flying high in the air like a bird and enjoying the surreal view of the grasslands and the suburbs of the capital. 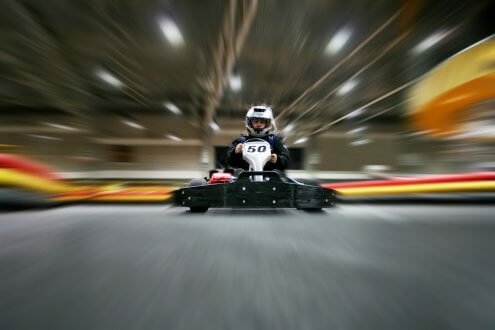 One’s love for racing can be expressed on the karting track of F-9 Go Karting in Gurgaon. With real gears, one can have an amazing experience while feeling like an F1 racer. Go with a gang of friends to challenge them and see who comes out to be the winner. Just let go of your fear and take off on the track to enjoy one of the adventurous activities in Gurgaon. 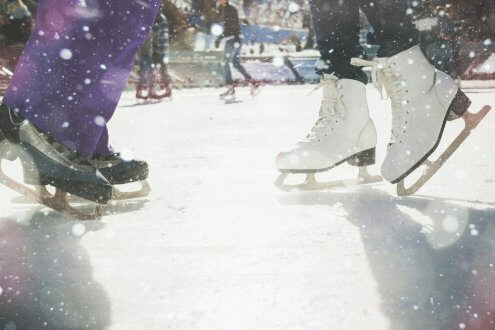 The first natural and enthralling ice-skating rink is waiting for you to lace up your skates and get on the rink to showcase your talent. iSkate is among the best things to do in Gurgaon alone or with a group. It is a perfect escape from the hot weather of Delhi and has a mountain experience with cold and snow. Take a tour of the water bank to refresh yourself with the beauty of nature and keep all your worries at bay. They also host a number of fun-filled activities, including Burma Bridge, Tarzan Swing, Rock Climbing, Sumo Wrestling, and running bungee. If you are looking for things to do in Gurgaon for couples, then there is nothing more romantic than camping at the lake and enjoying barbeque and seizing the moment with some light music. There is nothing more refreshing and entertaining than taking water rides at the Delhi’s best amusement park, Appu Ghar in Gurgaon. Be a kid, jump in and around the water while splashing water at your friends. It is a great way to escape the hot summer and getting away from the daily office life. Being the most costly sport, many golf courses offer extreme membership price but Qutab Golf Course welcomes non-members in its golf course to enjoy, play and challenge their opponents. The best time to visit is before sunset or sunrise to witness the whole club swinging. Put on your binoculars and watch animals in their natural habitat. There are a number of protected territories in Gurgaon where you can always catch sight of species residing during summer. Enjoy the jungle Safaris, nature walks and bird watching hikes for a pleasant time. If you are a nature lover, then this is the best thing to do in Gurgaon. Go with your family and friends and have unlimited fun at the SkyJumper Trampoline Park in Gurgaon. Jump off the walls and fly high in the air at India’s largest play arena. Explore this arena while playing a wide range of games and activities, including rope hang, balance beam, dodgeball, volleyball and much more. Among the fun activities to do in Gurgaon, bowling is a must if you love challenges and break your own record. It is an ideal destination to de-stress and bond with your colleagues. It offers a combination of entertainment with live music and world cuisine. A one-of-its-kind entertainment center and the first theatre, Kingdom of Dreams is divided into three sections and theatres. It also hosts a Bollywood style musical act named Zangoora and is among the famous shows that visitors from different areas come to watch and get entertained. One can catch a sight of the diverse aspects of India, including its traditions, culture and art & craft. 1. Why Gurgaon is known as the cyber city of India? The DLF Cyber City is the corporate park in Gurgaon which is home to over Fortune 500 & IT companies. It is surrounded by seven golf courses and 26 shopping centers with top brands such as Louis Vuitton, BMW and Chanel. 2. What can one do in a day in Gurgaon? The things one can do in a day in Gurgaon include Paragliding, iSkate, Paintball Co, F-9 Go Karting, Appu Ghar Amusement Park and shopping. 3. What are the best things to do and see in Gurgaon? Musical experience at the Kingdom of Dreams, run at Aravali Biodiversity Park, Hang out with friends at Cyber Hub and do shopping at Galleria Market.